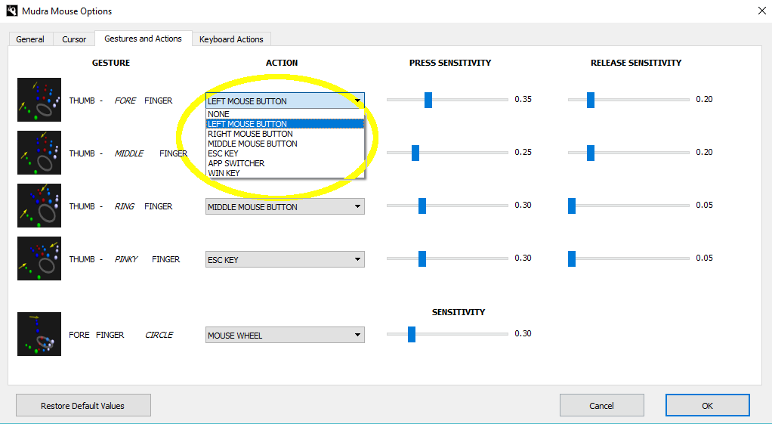 Mudra mouse allows you to use alternatively both the right hand and the left hand. Here you can find some tips for use and here in particular for Virtual Reality Applications. Approach movement of fore/middle/ring/pinky finger and thumb finger or their connection triggers an action, the pressure of a mouse button or keyboard shortcut, otherwise detachment movement determines the release. You can choose relative mouse cursor movement, this option allows you to "lift and reposition the mouse on the pad". 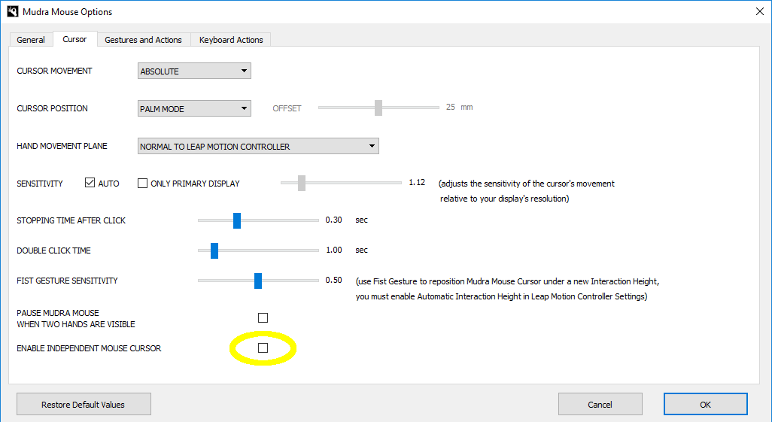 You can so reposition the hand centrally with respect to the field of view of the Leap Motion Controller, so as to find the most comfortable position, or where the Leap Motion Controller works best, regardless of position the cursor on the screen which, during lifting of the "mouse", is maintained unchanged. 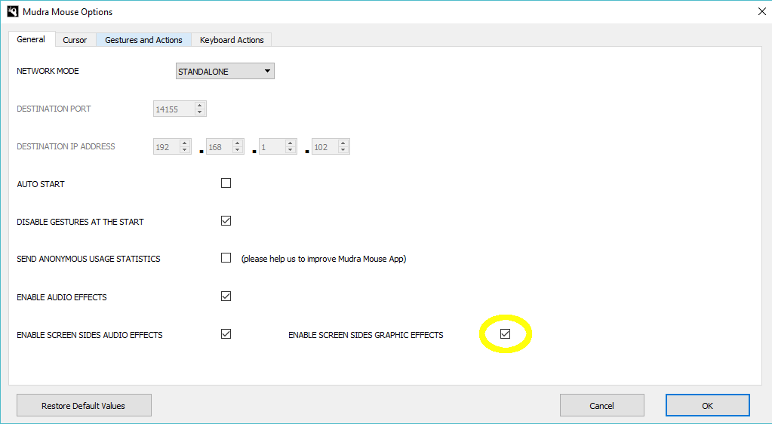 Another advantage that you have using the relative mouse cursor movement, is the immediate movement of the cursor when it is on the edges of the desktop area. 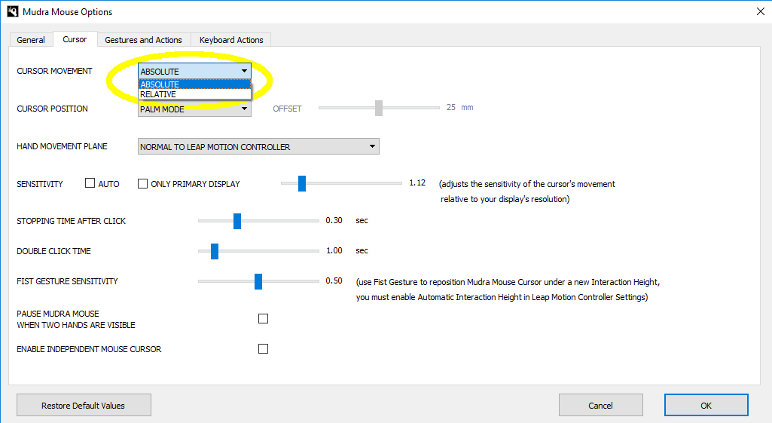 On the other "hand" :-), using the absolute mouse cursor movement, provides more intuitive to associate the movements of the hand to those of the cursor. Absolute mode if combined with the use of the Leap Motion Controller automatic interaction height, allows you to reposition the cursor under the new interaction height. The Mudra Mouse hand movement associated with “lifting of the mouse” operation (relative mode) or with the repositioning of the cursor under the new interaction height (absolute mode) is obtained closing of the hand into a fist or hiding the hand to the Leap Motion Controller field of view. Currently we recommend the use of the Leap Motion Controller setup software 2.x version for Desktop use and Orion 3.x for Virtual Reality use. On Windows operating system it is recommended to start Mudra Mouse with administrative rights, so that it can emulate mouse cursor commands on all interfaces, including those executed with administrative rights. 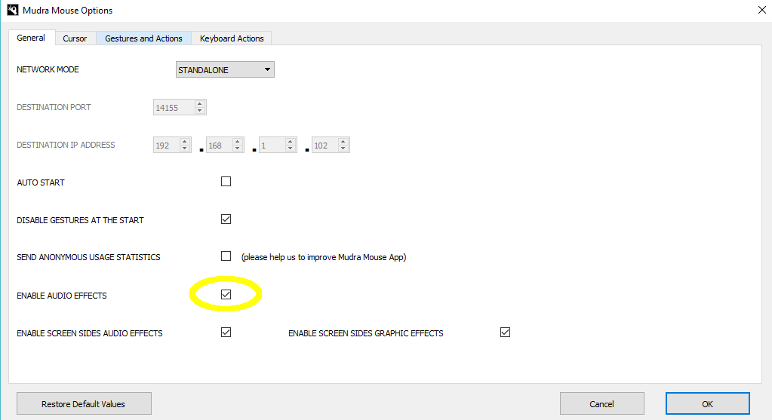 Remember to enable the Allow Background Apps checkbox in the General section of the Leap Motion settings. 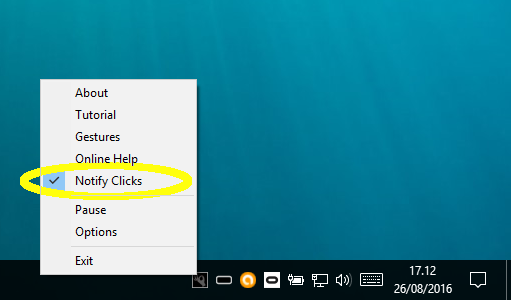 At first use, in order to improve clicks recognition, can be useful to alternate a left click to a right click, repeating the movements for 2 or 3 times. The optimal operation for the right hand is on the right side of the screen, while for the left hand is on the left side of the screen. At first use is good to keep hand opened and make approach and detachment movements of the finger not too fast . When you had the impression that the hand gestures were no longer recognized is usually a good idea to resubmit your hand, hiding it from view of the Leap Motion Controller and then presenting it again. It is useful to adjust the mouse cursor sensitivity that regulates the movement sensitivity of the mouse cursor, changing a specific parameter in the Cursor - Mudra Mouse options menu, however it is now possible to let Mudra Mouse to choose automatically the value of this parameter. 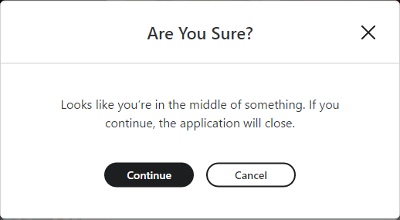 The Add Icon "You cannot change application path after installation" error you get launching Mudra is generated when Windows detect app UUID associated with another application path, from which application has been launched the first time on that machine. It's a Windows bond, Windows stores this information in the registry value and resetting it should solve the issue. 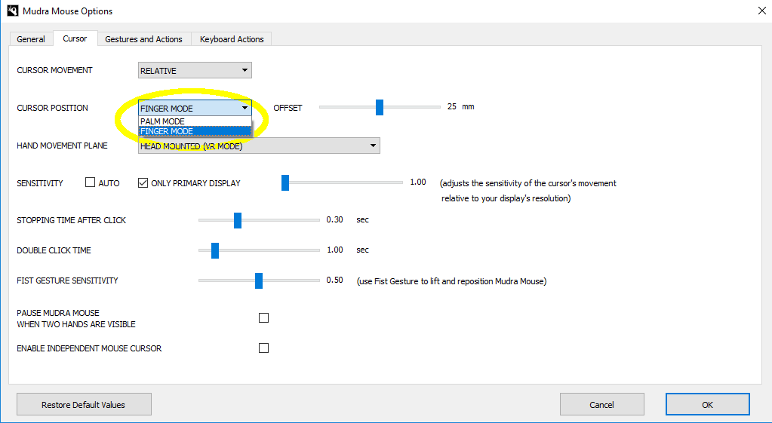 Mudra Mouse can be used to control the desktop with Virtual Reality applications, such as Big Screen and Virtual Desktop for Oculus Rift. The last steps are necessary, because right now Oculus Home does not manage 2 apps working simultaneously. 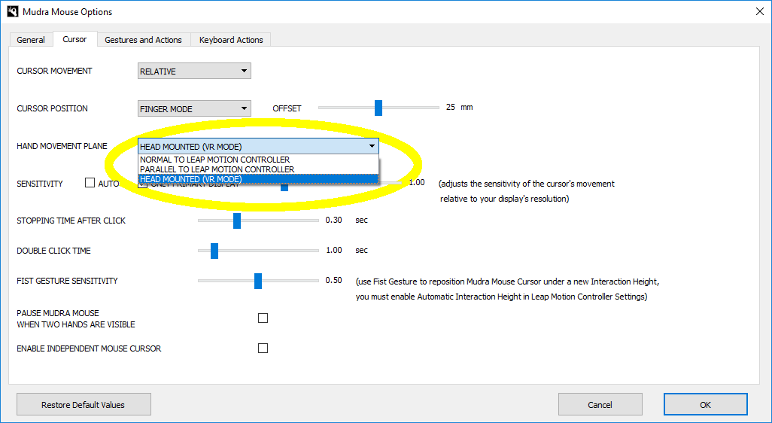 Mudra Mouse allows you to insert your own keyboard shortcuts, in order to integrate Mudra Mouse gestures with the most frequently used software. 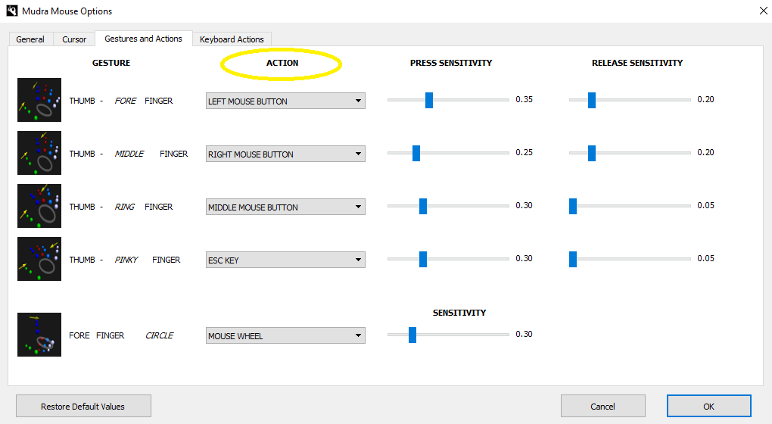 Subsequently, the new keyboard shortcut is displayed in the Actions pane in the Gestures and Actions section, in order to associate it to the desired gesture. 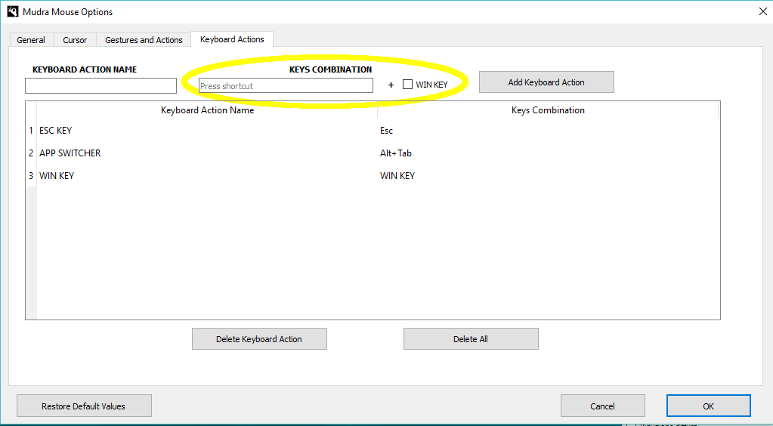 Mudra Mouse can be used as a standalone application on a single computer or via LAN with the Source / Destination modes. Standalone mode: mouse and keyboard actions are carried out on the same computer to which is plugged Leap Motion Controller. 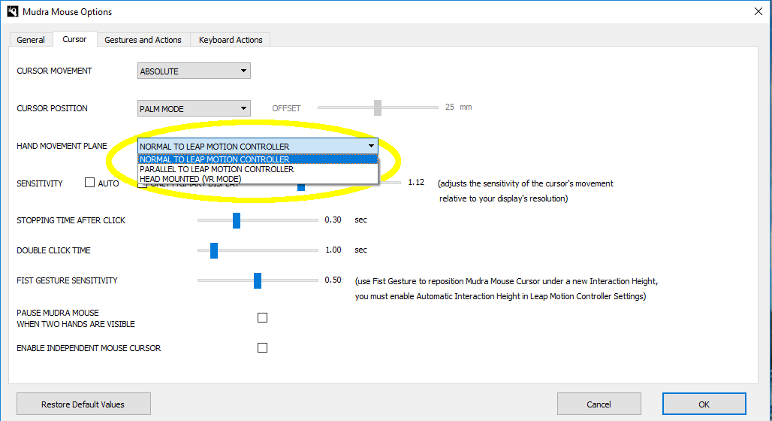 Source mode: gestures are detected (Leap Motion Controller must be plugged) but actions are sent to another LAN computer identified by its destination ip address on which Mudra Mouse must be installed and configured with Destination Network Mode on. 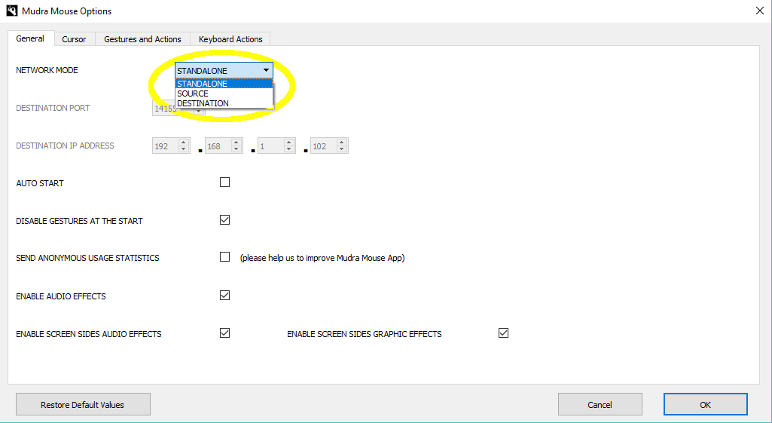 Destination mode: mouse and keyboard actions are performed but gestures are detected on another computer on which Mudra Mouse must be installed and configured with Source Network Mode on.